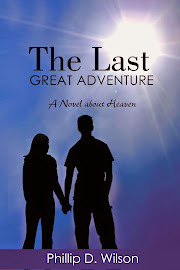 Meanderings about Phil's novel, The Last Great Adventure, life, ministry, church and other stuff. Wood Chopper – This is the guy I grew up around. These are preachers that deliver with a rhythmic smacking the pulpit, bending over for emphasis and pronouncing the punctuation with a “HUH!” or as “AMAN!” While there are those that say these are scary, they get the message across- you’ll hear it in your sleep. Ecclesiastical Entoner – This is the guy that fits well in a robe behind a massive pulpit or beside a coffin in a black suit. He’s the guy that delivers the high holy monolog in the high holy monotone. You can’t imagine him raising his voice, even if he were riding a roller coaster into the Grand Canyon with a grizzly bear. Mister Rogers – This maybe the warmer, cardigan wearing version of the Entoner. He’s the preacher that’s calm, gentle, easy going. You know, the okie-dokie neighbor next door that hits his thumb and says, “Oh gosh!” before apologizing. Jesse Jackson – The Jesse could be considered a variation on the Wood Chopper, although he emphasizes certain syllables of certain words and uses a pregnant pause to create a poetic meter. It gives…the MO-ment….SPE-cial…REV-erence. Old Yeller – This guy could also be considered a variation of the Wood Chopper, except he doesn’t preach with rhythm, he just preaches with VOLUME. Crank it up and break the knob off. If you haven’t heard this guy, just drive into the rural Tennessee, Georgia or the Carolinas on Sunday morning until you get to gravel, roll down the windows and listen. Pentecostal Preacher Lady – I know a few of these, and they are a hoot. They will out-preach most men and have so much of the Holy Ghost they almost glow in the dark. Big hair, big voice, big attitude…cause they serve a big God. Surfer Dude – Depending on his age, he may wear a Hawaiian or an Affliction shirt, frosted spiky hair that looks like it was done with a weed wacker. He talks like California, even if he’s from Oklahoma. He is preaching a relevant message…to people on Redondo Beach in 1990. Tent Preacher – Generally a male riff on the Pentecostal Preacher Lady, this is the guy that roams the tent, the room or whatever with a while look in his eye, and open faced Bible in one hand and a rambling rant that makes you think he’s getting the snakes out today. Feminist for Jesus – Usually a fixture of the more refined, enrobed churches steeped in history and stuck in the mud, these are the frustrated militant women preachers that spend half their time preaching about why more people should accept women preachers, to a congregation that has accepted her as a woman preacher…at least until they can get the conference to send someone else. Grim Weeper – A Bible in one hand and a hanky in the other, these guys cry more than John Boehner when they shot Bambi’s momma. Hard to understand, partially due to the free flowing spirit and mucus membranes. Comedian for Christ – While many preachers use humor, this is the guy that is more Bill Cosby than Billy Graham. Every sermon sounds like a frustrated stand-up routine. Not quite gospel, not quite comedy. Holy Hipster – Probably the newest to the scene, proving once again the prophecy of Huey Lewis, that it is hip to be square. This guy’s a scripture wonk with a contemporary translation of the Bible, skinny jeans and the same glasses that were worn by the Wood Chopper in 1962. Go figure. And then there's the Poser, who works so hard to be relevant to his congregation that he chances clothes between services--shorts and flip-flops for the "contemporary" service, and slacks and a tie for the "traditional." So true Michael- Dale Carnegie said the one thing you can't fake is sincerity. The "relevant" crowd have worked so hard to distance themselves from the traditional venacular that they have created a whole new "church speak".